Recently major US tech companies have teamed up to take steps against President Donald Trump’s travel ban, although it has currently been temporarily halted. 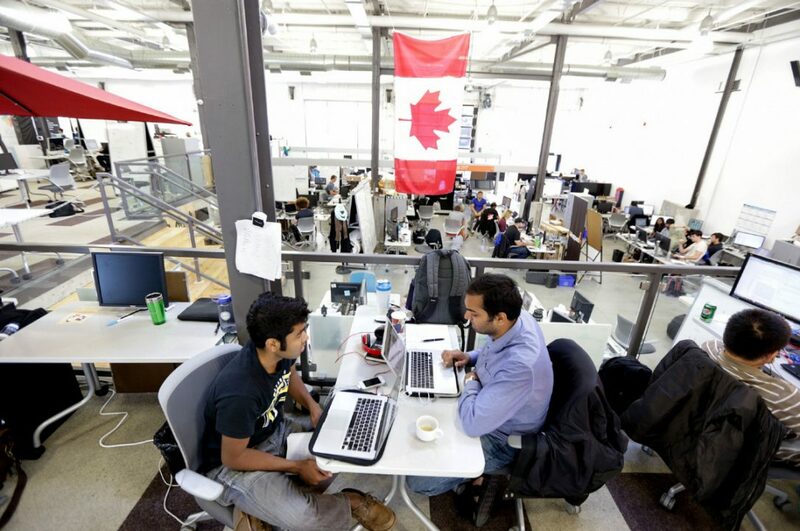 Canada’s tech industry is hopeful that the executive order will bring much-needed talent to their country. Canadian technology firms have been watching the Travel Ban and they see much opportunity to lure talent as they struggle to enter the U.S. for their jobs. Canadian companies are seeking a fast-track visa to help them bring top candidates to cities like Toronto, Vancouver, and Montreal. Kasra Nejatian is one of those leaders who is seeking to assist the sector in hiring the tech workers who have been denied entry into the U.S. due to the executive order which temporarily barred nationals from seven Muslim-majority countries. Although the ban is currently stopped, the White House has said that they will reinstate the ban eventually. The Iranian-Canadian chief executive of Kash, a tech company with offices in both San Francisco and Toronto, created an online list of resumes to share with tech executives in Canada. So far, the chief executive of Kash has collected over 180 names so far. Mr. Nejatian, who also helped create Canada’s own immigration policies under previous federal Conservative government as a senior adviser to a former immigration minister, is not shy with his words when it comes to the executive order. He comments on the travel ban saying “It’s confusing and irresponsible, with tinges of racism,”. Mr. Nejatian also commented “There’s great reason to be worried about the security of the US border. Americans should be worried about it. But there are things that help and there are things that hurt. This will hurt”. Many agree with Nejatian that the ban will push more travelers away from the US and we will see an increase in immigration to Canada. The executive order included a 120-day pause on all admissions for refugees into the United States and a 90-day pause on entry for travelers from Iran, Iraq, Libya, Somalia, Sudan, Syria, and Yemen. The order had extreme repercussions on the global tech industry. Around 127 US tech companies have filed a legal document stating that the President’s immigration ban has affected their operations and “inflicts significant harm” on business. The brief includes some of the largest tech names such as Apple, Facebook, and Microsoft. Stephen Green, a specialist in immigration law, said his company has been fielding calls over the past week looking to set up shop in Canada and global companies increased their presence in the country because Canada has “predictability here” compared to the ultra changing US immigration laws. On January 29th, over 150 executives signed an open letter supporting diversity and pluralism in the workforce. By the end of the first week in February there has been over 3,400 signatories. This letter also called on the Canadian government to institute a target visa providing tech workers displaced by the travel ban with temporary Canadian residency that would allow them to work and live in Canada. Allen Lau, one of the co-founders of Wattled and one of the signatories, says “Canada always supported inclusive nationalism and we embrace that recipe”. If the ban was to happen to be reinstated there would be an incentive for people to immigrate to Canada rather than the US. Many people fear that the ban could grow and start applying to other nationalities and visa categories, creating an even greater incentive to obtain a work visa in Canada. Lau adds “Canada as a country is in a unique place on the planet right now, has a unique message, is a unique differentiator. That will allow us to attract the best talent”.